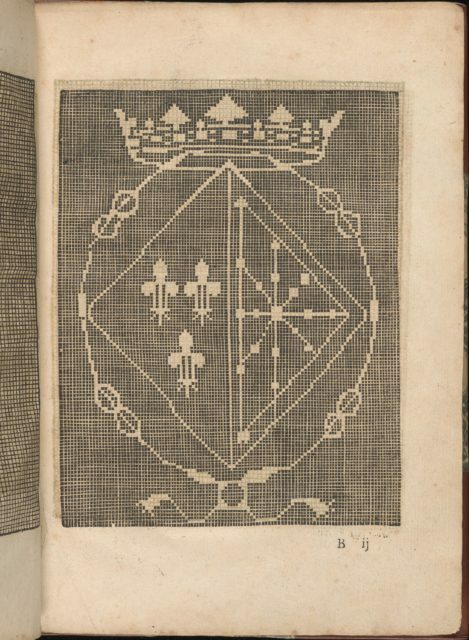 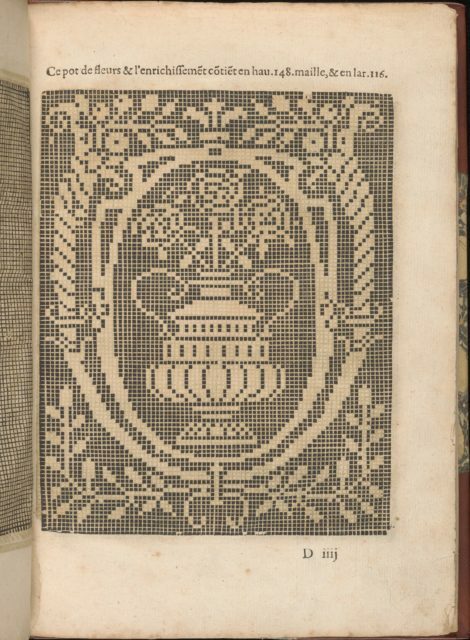 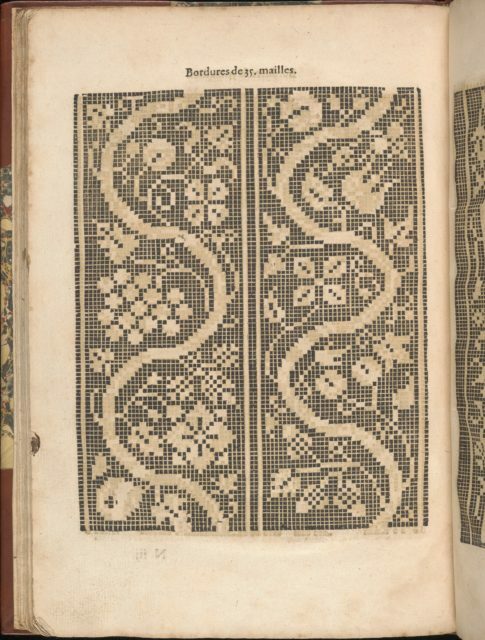 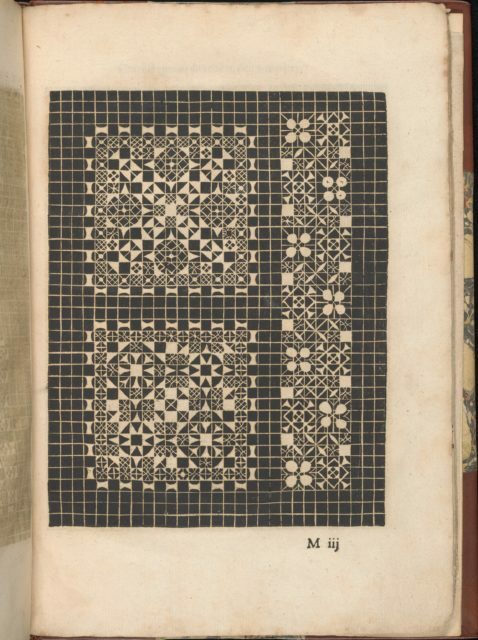 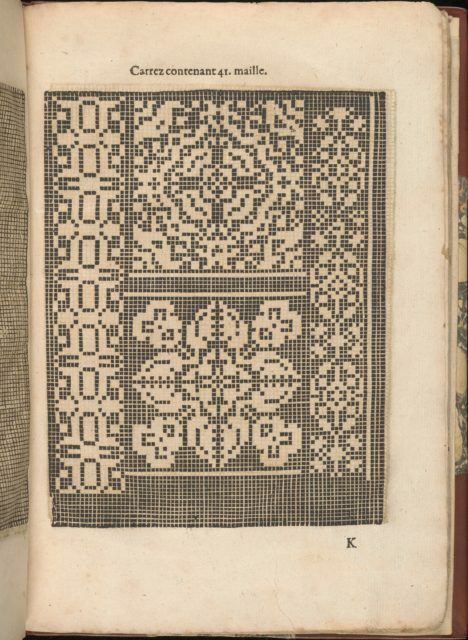 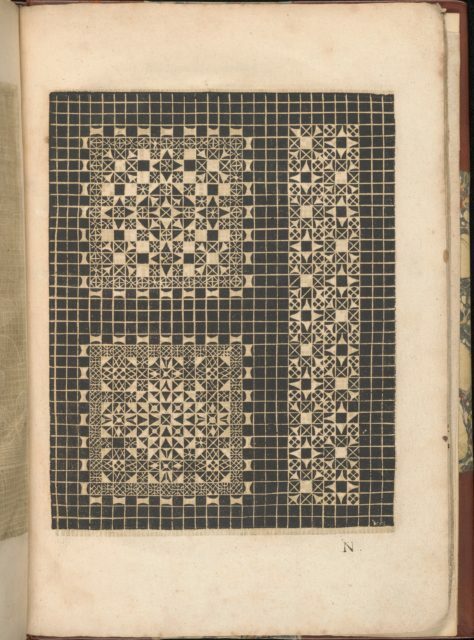 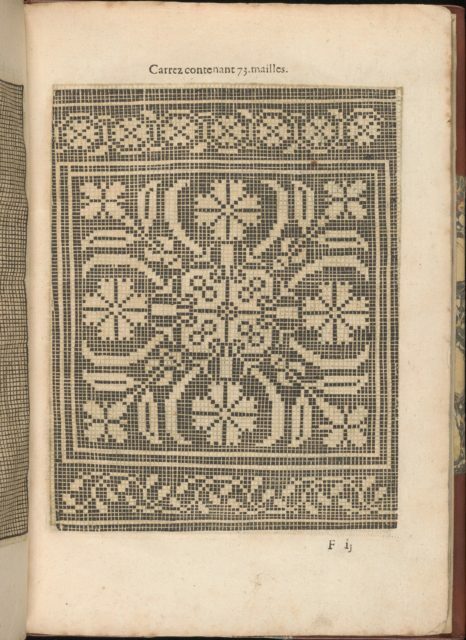 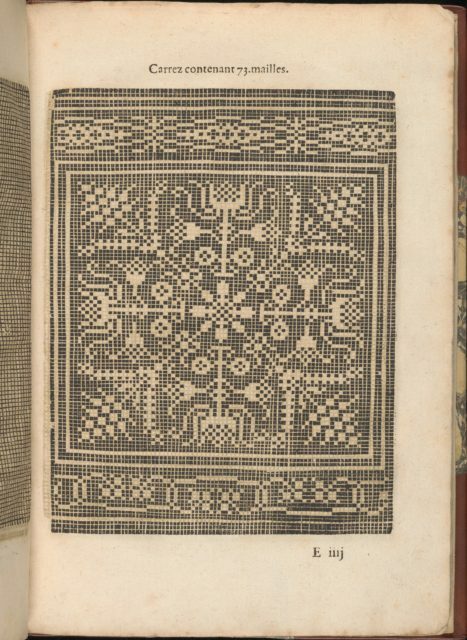 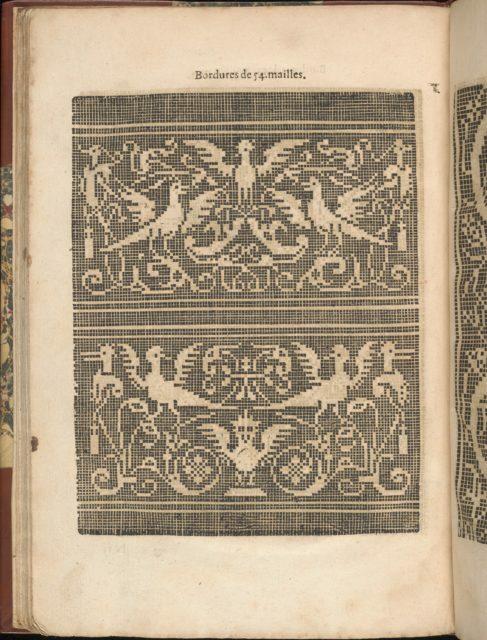 Designed by Federic de Vinciolo Venitien, published by Jean Le Clerc, Paris, dedicated to Catherine de Bourbon, French, 1558-1604.From top to bottom, and left to right:Design is printed upon a grid and illustrates the Annunciation. 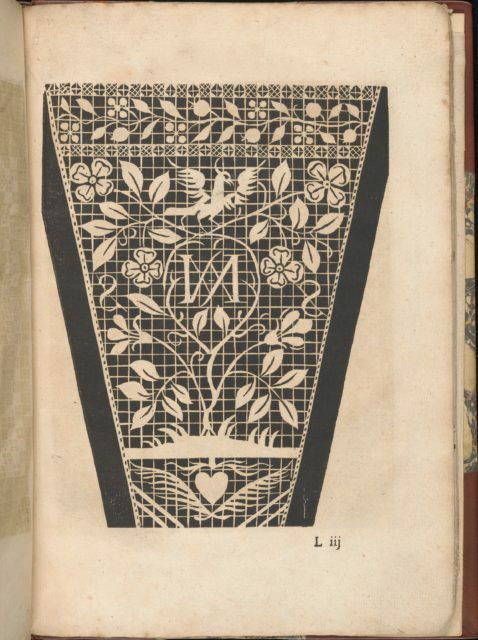 Placed in between the angel Gabriel and the seated Virgin is a tall vase of flowers. 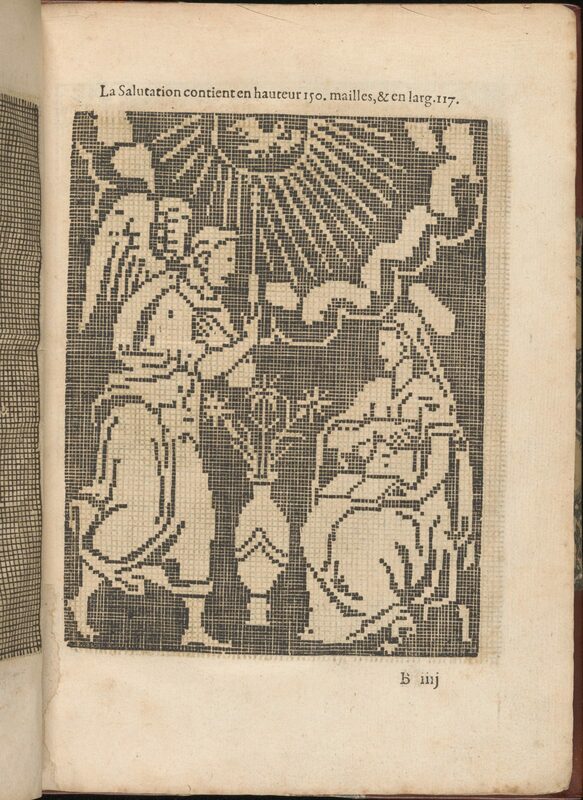 Above the figures flies a dove that has rays of light encircling it.